Germany's largest and most popular trading event, World of Trading, attracted around 8000 visitors this year. 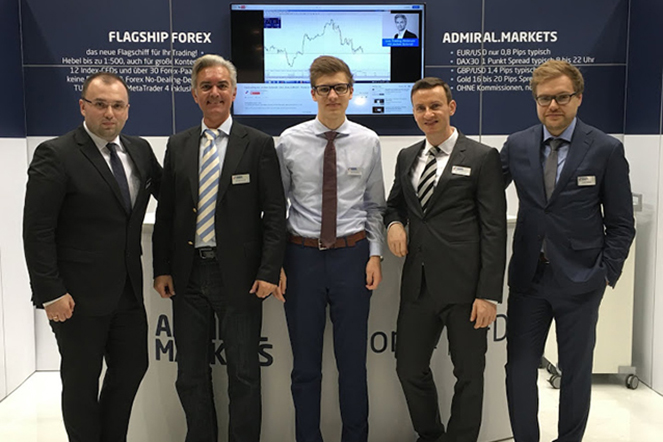 For the second year running in the events 11-year history, Admiral Markets silver-sponsored the expo and also celebrated its fourth year participating in what many German financial traders consider an annual highlight. 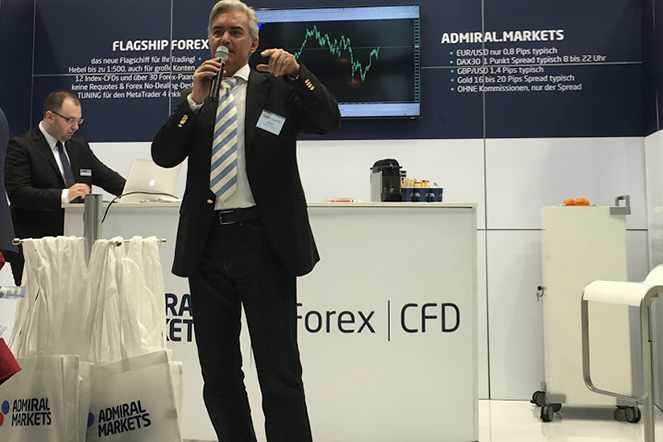 Held November 20-21 this year, the World of Trading event gives what Admiral Markets Germany Director Jens Chrzanowski calls "an open forum" for Forex and CFD traders. "Admiral Markets is a specialist Forex and CFD trading broker, especially for Germany's best-selling DAX30 CFD. The expo's visitors and our Forex/CFD experts are a perfect match, which is why we are so proud and pleased to sponsor this event again, " says Mr Chrzanowski. 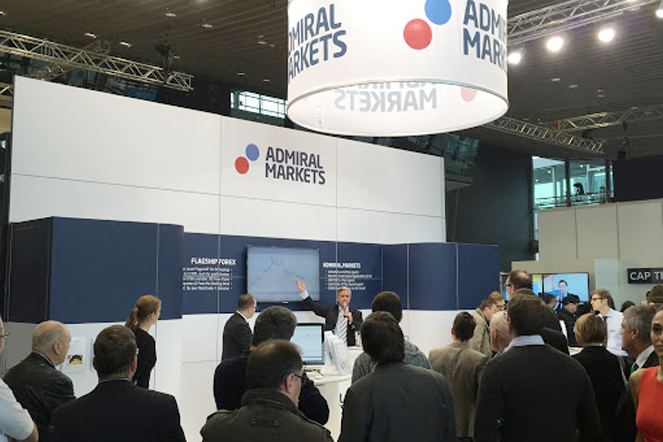 The Admiral Markets stand attracted a highly enthusiastic crowd this year, which included several seminars led by the trading world's 'George Clooney' a.k.a Jochen Schmidt and a sneak preview of Admiral Markets soon-to-be-released indicator package. "We showed our new indicator solution and let everyone know it would soon be available for all our customers. The crowd's feedback was amazing - they can't wait until we will go live with it, which is great for them and us," Jens warmly noted. But the indicator package was not the only new product generating interest. "We are a MetaTrader 4 broker, but our MT4 is special because it includes over 60 add-ons cost free. When we mentioned add-ons that were upcoming in December - like a great order history indicator and an innovative multiple stop solution with time stops, pivot and renco chart - the blanket response was requests to get them sooner." Mr Chrzanowski expressed his enthusiasm for joining the expo next year, saying the expo is a great opportunity for traders of all levels to meet, greet and learn. "Traders are often solitary, but the World of Trading event brings the trading community together and when that happens - everyone involved benefits from sharing knowledge. It also represents an opportunity to explain and reflect on our excellent services for the public because people deserve to know who they are dealing with," he concluded. "This broker has a face," says Jens Chrzanowski. Meet the team at various expos around Germany, or live any week in their webinars.